If you want to learn more about the Console Rocket features, you’ve come to the right place. So here is the thing… there is quite a bit of depth to this. Let’s just step through the best bits. All your search data stored and analysed, long term. What Changed? When? Why? How? Having a year long historic record of the relationships between keywords, CTRs, Landing pages etc allows us to find hidden insights you will have never seen before, and compare to the previous season, like for like. No programming or Excel-fu required. Just amazing segmentable, sortable and filterable data at your fingertips. Console rocket has been designed to help everyone from novice, to data expert, to quickly drill down to find insights quickly and easily. For every keyword, page calculate the opportunity for your business. 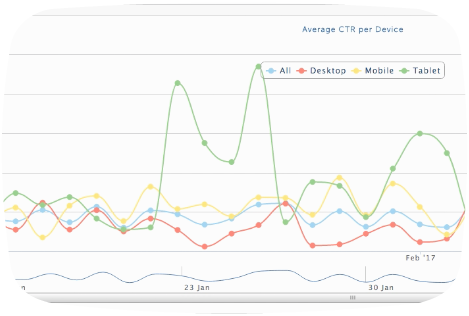 Which Keywords could provide the most visitors, which pages have the most keywords with the most opportunity? What CTR does your page(s) get if it ranks in certain positions. If the keyword “widgets guide” ranked in position 4 instead of 8 – What would be the impact? Brand vs Non-Brand Keywords behave very differently, we automatically separate those keywords for you. 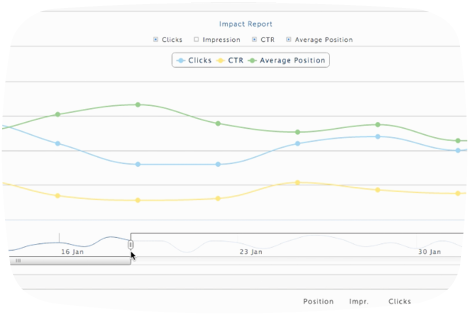 Which Non-Brand keywords have lower CTR than expected for position? 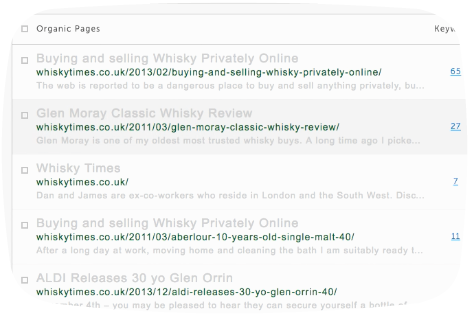 Tracking the page a ranking keyword shows in the SERPs is important. My Keyword CTR is jumping up and down because google is showing three different URLs for it, which page is the best to pick?